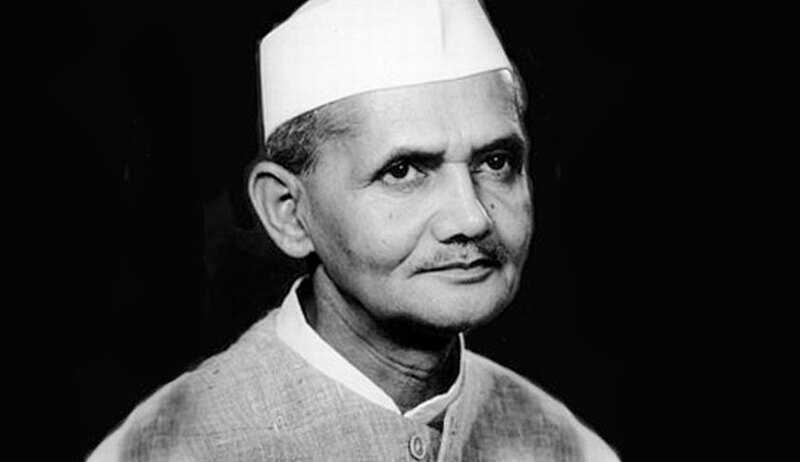 With doubts being raised over the mysterious death of India’s second Prime Minister Lal Bahadur Shastri till recent times, the Central Information Commission has directed the PMO, the Ministry of External Affairs and the Ministry of Home Affairs to provide details about his death and also trace the findings of the Raj Narain Inquiry Commission’s probe into the circumstances leading to his death. “The public authorities referred above have a constitutional duty to inform and the people have legitimate expectation to know the truth behind the death of their beloved leader. More so, it is the primary responsibility of the PMO to inform the people what happened to Late Lal Bahadur Shastri, who once was its head,” said Central Information Commissioner M Sridhar Acharyulu. The commission was hearing the complaint of RTI applicant Navdeep Gupta who had sought to know if the dead body of the late Prime Minister was brought to India or was he cremated there in Russia. And in case his body was brought to India, he sought a certified copy of the postmortem conducted on his body. The Home Ministry forwarded his RTI request to the National Archives of India (NAI) on August 5, 2017, but the NAI could not give any information as it had no answers to these questions in the records leading to filing of the instant complaint. While passing an interim order on his complaint, the CIC noted that it had way back in June 2011 directed the CPIO of the Cabinet Secretariat to disclose 11 pages relating to Shastri’s death after deleting the lone sentence with the reference to the Mukti Bahini as the Rashtrapathi Bhavan, PMO, Ministry of External Affairs and Ministry Home Affairs pleaded that certain papers about Lal Bahadur Shastri’s death were classified and hence denied. The CIC, while deciding the instant complaint, directed that those 11 pages referred to in the 2011 order be also made public. CIC Acharyulu also delved into various media reports and blogs about how the Raj Narain Commission findings were not to be traced in the government records and directed that efforts be made to trace them. It also directed the authorities to bring on record categories of documents it has pertaining to Shastri’s death and the period of withholding the information because of classification and if at all they can be declassified. “…the Commission directs the CPIOs of the PMO, the Ministry of Home Affairs or Ministry of External Affairs to provide information/documents about the referred subject to the applicant including those 11 pages which were directed earlier by the CIC (in 2011), which are not hit by any exception under Section 8(1) of RTI Act. “In case the CPIOs of PMO, MEA and MHA consider that any record of part of it was hit by Section 8(1)(a) or any other clause on the ground that were classified, they are required to explain the same and as per section 18(4) of the RTI Act, they are directed to produce in sealed cover the relevant record or part thereof for the examination by the Commission to decide the question of disclosability of the information sought. If any document is claimed to have been classified they have to inform the period of withholding of such information because of such classification when it will be accessible, or is there any possibility of declassification of records as demanded by eminent citizens and family members of Lal Bahadur Sastri, etc,” it ordered. Referring to an article published in a news magazine in 2012 which stated that all records of the post-Emergency Raj Narain Inquiry Committee report on death of Shastri had vanished and “there is not a trace even in Parliament’s exalted library”, Prof Acharyulu went on to order, “The Commission considers that these offices, especially that of MHA, require to make a fresh effort to trace the details about Raj Narain inquiry report or related documents and tell the nation what was inquired and found. These offices are also required to explain whether they have transferred or transferring any records relating to the death of Lal Bahadur Shastri to the National Archives of India facilitating access to the public in general and to requesters in particular, under RTI Act”. “The Commission directs the PMO, MEA and MHA to publish the statement of categories of documents regarding the death of Late Shri Lal Bahadur Shastri that are available with them,” it said while recommending the CPIO of Parliament Secretariat to search in their library whether any records regarding the Raj Narain inquiry commission could be retrieved. If they discover any, they are required to share with the appellant, and the National Archives of India, it said. Taking note of the reference in various articles to the two witnesses—RN Chugh, Shastri’s doctor who accompanied him to Tashkent, and Ram Nath, his personal servant—who were to depose before the Committee in 1977 and how Chugh was hit by a truck on his way to Delhi to depose before the committee while Nath was also hit by a moving vehicle and lost his memory and his legs before their statements were recorded, the CIC said, “In view of such incidents reported in media, the absence of record about Raj Narain inquiry commission that probed into the circumstances leading to death of our late Prime Minister, if true, assumes importance”. The article spoke of how Nath had come to meet Shastri’s widow before leaving to depose before the committee and was then hit by a vehicle. “Whether Raj Narain inquiry reached any conclusion, if so, where is the record? This has to be clarified by Ministry of Home Affairs, because commission of inquiry into such affairs would form part of its activity,” the CIC said. It also took note of details of the incidents leading to Shastri’s death as penned by senior journalists, including those who accompanied the late Prime Minister to Tashkent, and the demands from his family for probe into circumstances of his death. The commission termed the RTI request “an effort of a citizen to know information regarding the ‘truth’ behind the death of Lal Bahadur Shastri that cannot be brushed aside”. The matter is now listed for June 18.